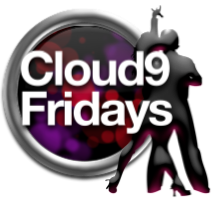 Cloud9 hold weekly Modern Jive dance classes, monthly freestyle dances and dance workshops in the Bristol and Bath area. Even if you have never danced before or claim to have two left feet, we will give you the moves and skills to allow you to dance with confidence. Our dance classes offer a great variety of teaching and our popular freestyles give you some of the best dancing in the West. Whatever your level and experience, you can be sure of a friendly welcome and a good time. Your first dance class is completely FREE so do come and see what we are all about.